Join us at the 2019 Spring Auction Benefit on March 27, 2019 at Guastavino’s! 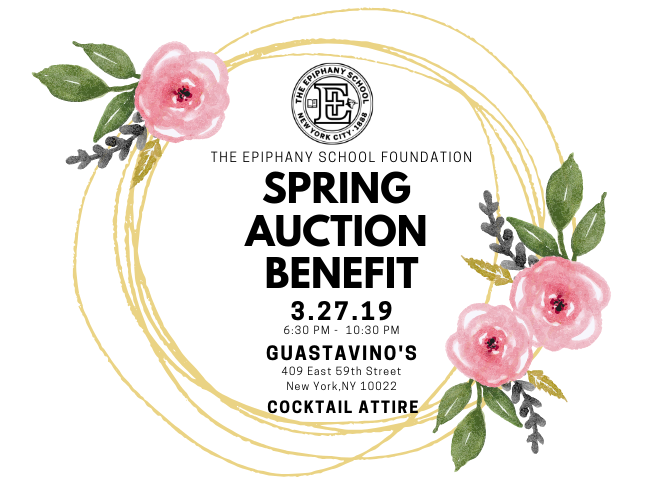 The Spring Auction Benefit is the largest fundraising event of the year for The Epiphany School Foundation, bringing in over $175,000 net revenue annually for our school. Every year, our parents come together for an elegant evening of drinks and delicious hors d’oeuvres, while raising money for our school through a silent auction, live auction, and special appeal. In past years, funds raised from the Spring Auction have contributed to the school’s iPad Initiative, environmental center, the implementation of the Wellness In The Schools (WITS) lunch and coach program, and most recently, capital improvements. We aim to raise $100,000 to bring Project Leads the Way to grades PreK – 6, increase the CodeSpeak Labs program from grades 4 and 5 to grades 4, 5 and 6, and enhance our iPad program! Thank you to those that joined us at the 2018 Spring Auction! 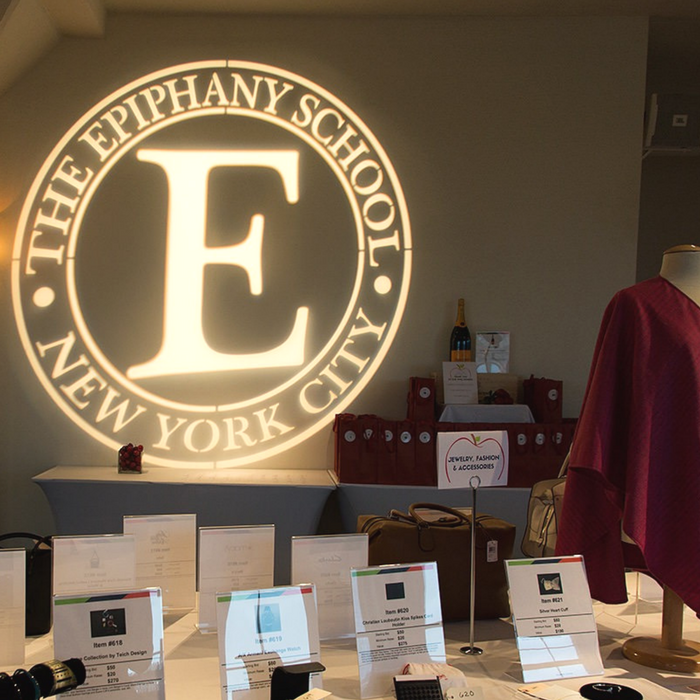 We are pleased to report that the 2018 Spring Auction netted over $175,000 to benefit The Epiphany School. Thank you for your support! We are extremely grateful for the gifts, including hundreds of attractive items, donated by our community every spring, all for the benefit of The Epiphany School. Thank you, Michael Scott, for capturing these beautiful photos! Click here to purchase tickets and sponsorships and to view auction items! Click HERE to download our Auction Item Donation Form. The deadline to submit donation items is March 15, 2019. Thank you to all of our auction volunteers who make this event possible. We are currently seeking volunteers to join the following auction committees: · Solicitation Committee · Set-Up Committee · Night-Of Committee If you are interested in getting involved with the Spring Auction, please contact The Foundation Office by emailing auction@epiphanyschoolfoundation.org.